It was Christmas Eve night in 1906. The ships at sea for the US Navy and the United Fruit Company received a message in Morse code to expect a special and important transmission. The telegraphers in their respective ships expected to hear the dits and dashes of Morse coming through. But instead they heard something that many likely hadn't imagined possible. It was the sound of a human voice. In particular, it was the voice of Reginald Fessenden, the genius behind this first wireless voice transmission who had studied under Thomas Edison, transmitting from Brant Rock, MA, to ships on the North and South Atlantic Ocean. And what did those people hear from Fessenden, the son of an Anglican minister, on that important night? After playing Handel's Largo on the phonograph for all to hear, it was Fessenden himself playing "O Holy Night" on the violin and singing along. "Fall on your knees. O hear the angel voices. O night divine. The night when Christ was born. 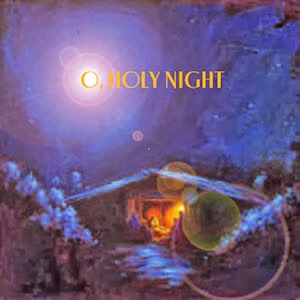 O night divine" he sang. Years later he would write that "the singing, of course, was not very good." Fessenden then urged his wife to read from Luke, Chapter 2 but she suffered from microphone fright leading to the first ever instance of awkward radio silence. Fessenden then read aloud about the day a savior was born into the world. "Glory to God in the highest -and on earth peace to men of good will." It seems fitting, doesn't it, that an improbable voice in the darkness reached out and changed the world that night and told of the Good News that had occurred almost 2,000 years before when the world was changed forever.